During your business conversations, try not to enter into debates about World War II with Latvians, as it is a very sensitive subject for them. Compared to most European countries, Latvia has a great number of state-owned companies. There are more than 140 state-owned companies amongst which the largest ones are providers of infrastructure services. What is the minimum required capital for starting a Latvian LLC? The minimum required capital for Latvian LLC is equal to US$4,000 and for Latvian PLC is equal to US$50,000. What is the timeline for Latvia business registration? Latvia business incorporation process takes up to 6 weeks for completion. Can an LLC be 100% foreign owned in Latvia? Yes. Non-resident shareholders can own all types of Latvian business entities. How many shareholders are required for LLC business setup? Only one shareholder is required for LLC setup in Latvia. Will Lativan residence permit help me obtain Shengen visa? Yes. Healy Consultants assists foreign entrepreneurs obtain a residence permit in Latvia, securing Schengen visa. 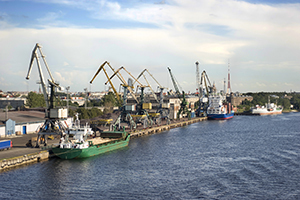 What are the advantages to Latvia Special economic zone? Companies incorporated in any of Latvia’s 4 SEZ’s receive 80% rebate on taxes, including: i) corporate income tax; ii) real estate tax; iii) withholding taxes and iv) management fees. How would you rate Latvia's corporate banking services? Latvia’s banking facilities are generally of moderately high standard. Where can I view Latvia related video? Do you need to visit Latvia for business registration? No. It is possible to incorporate a new business in Latvia without the need of personal travel. Healy Consultants optimizes Client’s costs and provides complete incorporation service for result-oriented entrepreneurs.